We all need to vent sometimes. Sometimes you just need to smash something up. Sometimes you need to do it in crazy cartoony platformy style. Sometimes you need that thing to be one of your favourite video game icons. 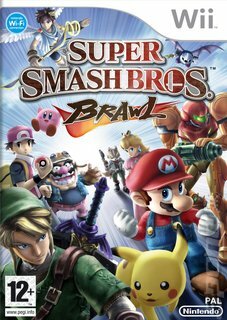 Enter, Super Smash Bros. Brawl, Nintendo's follow-up to the much beloved Smash Bros. Melee. 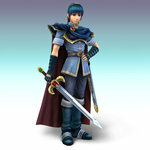 Super Smash Bros. Brawl features a host of other video gaming icons, including Mario, Pikatchu, Solid Snake of Metal Gear Solid fame, Meta Knight, the sword-wielding nemesis of Kirby; Pit, the angelic archer from Kid Icarus; Zero Suit Samus, the powerful Metroid series heroine minus her versatile armor; and SPOnGs all-time favourite, Wario, who attacks with... well, Nintendo calls it a noxious attack of gastronomic proportions. You know what that means... 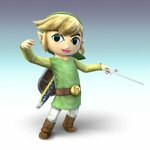 In total, you're looking at 35 characters up for grabs, each with their own unique moves and tricks. Brawl comes complete with on-line functionality, which enables you to play against other gamers the world over, either in teams or on your lonesome. Also thrown in is 'spectator mode'. In short, if you can't quite be bothered to step up yourself or fancy gleaning a few pointers, you'll be able to treat Smash Bros. as your own personal goldfish bowl of violence! Throw in a level editor and a side scrolling single player story mode and you've got a nice, well rounded package of chaos. The opportunity to take Snake down with a big smelly Wario fart is the main reason why we're looking forward to playing Super Smash Bros. Brawl. Things like that make life worth living.